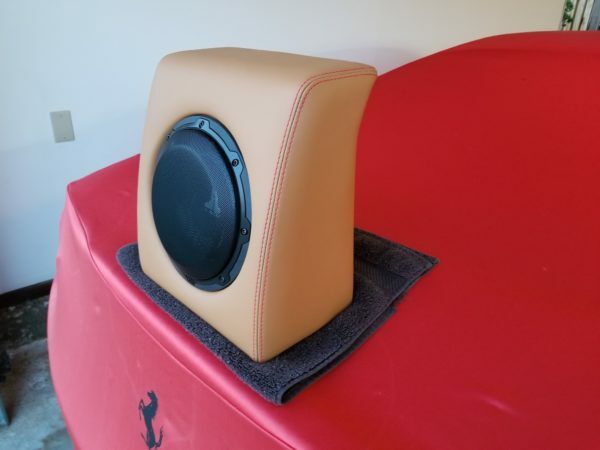 Scuderia Audio offers custom designed/CNC manufactured subwoofer systems for the 488 GTB. The JL Audio 8W1V3's new design results in crisp, clean, tight and accurate bass. 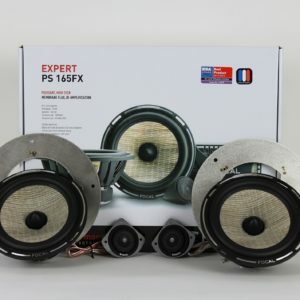 With 300 Watts or more, the bass will definitely move your hair. Absolutely NO seat interference, even with the Carbon Fiber seats. 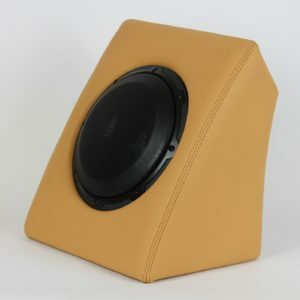 Includes enclosure, OEM Ferrari leather, stitching, subwoofer, speaker wire and all mounting hardware. Easiest installation of all the modern Ferraris. Mounted by two bolts into existing fasteners behind the carpet on the firewall. 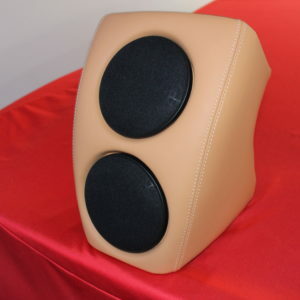 Special order leather colors add $400. 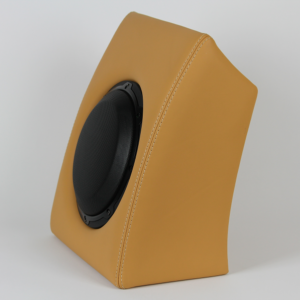 Unconditional 30 day money back guarantee for standard 488 leather colors. NOTE: Ferrari replaced their 488 model standard "Tan" leather color with a color one shade darker than Tan called "Ferrari Beige".